Give it a rest would you Neville? Two times in the past month or so the Sky Sports pundit has taken to Instagram with a joke about our legendary centre-back Jamie Carragher taking drugs. The first time was quite funny to be fair, but this second occasion seems a little unnecessary. Perhaps we’re being oversensitive, but repeating this kind of joke can make it stick, right? 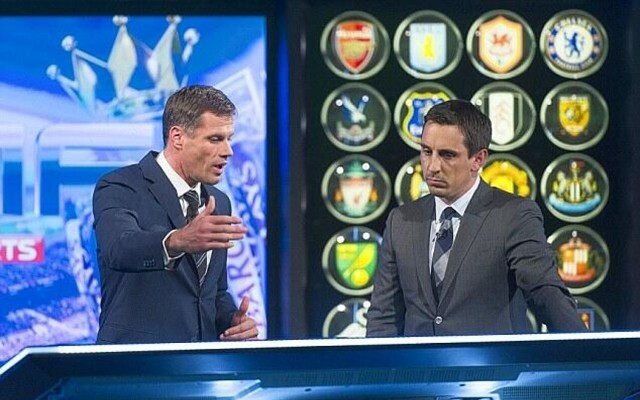 Here’s what he posted last night at an event in which Carra sat with Manchester United’s Class of ’92.
" the drugs don't work "
Maybe this is just messing about between mates; and it’s not like Carra doesn’t hand it out himself, in fairness. We’d just hate this to have repercussions.